Sotheby's is auctioning some of the most important anti-slavery documents in American history, signed by the Great Emancipator himself, Abraham Lincoln. 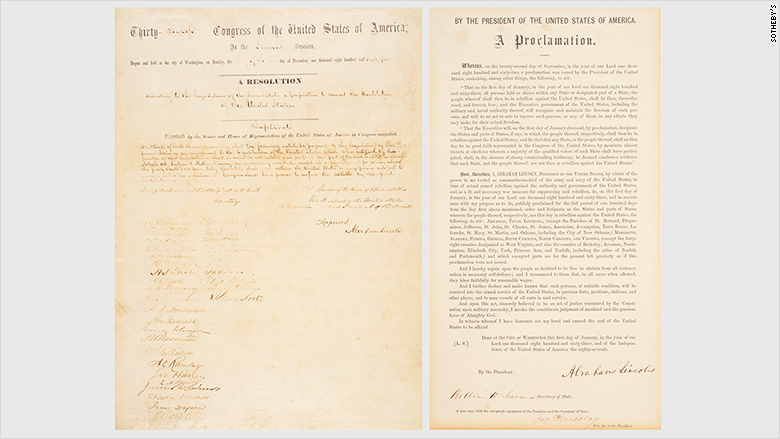 Copies of both the Emancipation Proclamation and the 13th Amendment will be up for sale. The auction house hopes that the two documents, sold together, could fetch $5 million. The 13th Amendment that's on the block is one of the original 14 copies signed by Lincoln on Feb. 1, 1865, according to the auction house. It's also one of three "Senate copies" that's signed by 36 senators, as well as the vice president. This is the amendment that abolished slavery. 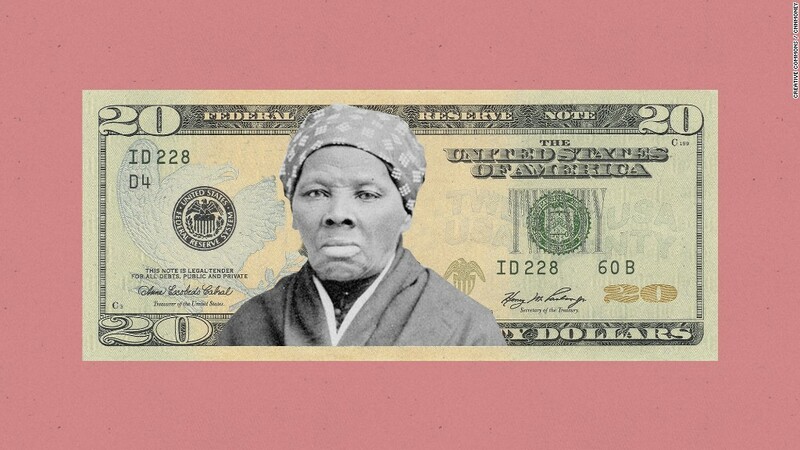 It declares that "neither slavery nor involuntary servitude, except as a punishment for crime whereof the party shall have been duly convicted, shall exist with the United States." The amendment was ratified in December, 1865, about six months after the Civil War formally ended. But Lincoln didn't live long enough to see his life's work made into law, because he was assassinated in April. Sotheby's is selling copies of the Emancipation Proclamation and the 13th Amendment, both of which were signed by Lincoln. The Sotheby's copy of the Emancipation Proclamation is not an original, even though it's signed by Lincoln. It's part of a limited edition printed in 1864 to raise money for the United States Sanitary Commission, a predecessor to the Red Cross and United Service Organization to support soldiers and their families. It's signed by the 16th president and Secretary of State William Seward. It's one of 27 surviving copies of the original 48, according to Sotheby's. Lincoln signed the original Emancipation Proclamation on Jan. 1, 1863, the third year of the Civil War, declaring "that all persons held as slaves" with the Confederacy "are, and henceforward shall be free." The proclamation also says that liberated slaves can serve in the Union Army and Navy. The auction takes place in New York on May 25.